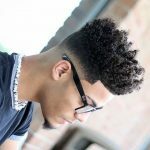 Back to school hairstyles for men need to be simple so as to allow you to take the shortest time to do them in the morning. They also need to be cool enough to help you stand out from the rest of the students. Just like women have endless hairstyles to choose from, men also have a variety of hairstyles to try. You do not need to feel like there is not much you can do with your with hair or stick to boring hairstyles if you are a man. 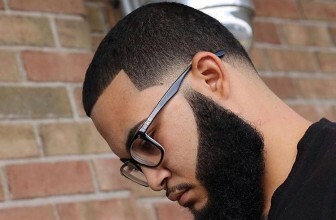 Your barber knows what your head should look like from all angles. They can tell you different options that you can try depending on the image that you want to represent and also advice you on what will not be great for you. 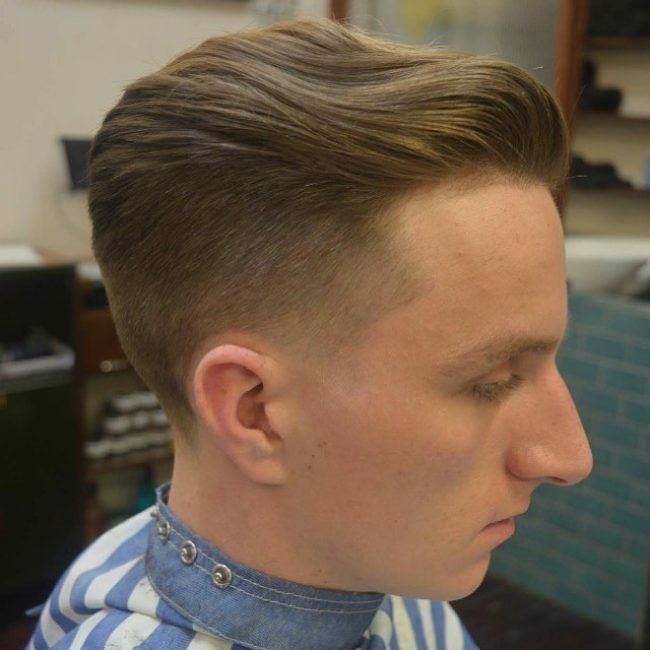 There are some styles that can be finished quickly and still give you that great look you want to achieve. Here is a list of hairstyles to consider. This is an easy but cool hairstyle that does not require much time to style. 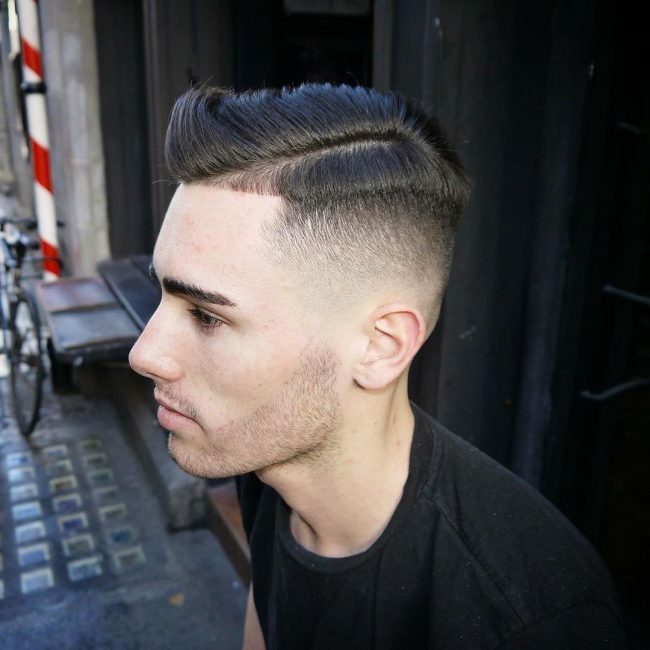 It is the perfect choice of style for guys that have medium hair. Your barber will not have a hard time bringing it out well if you show them the picture because it is super easy. 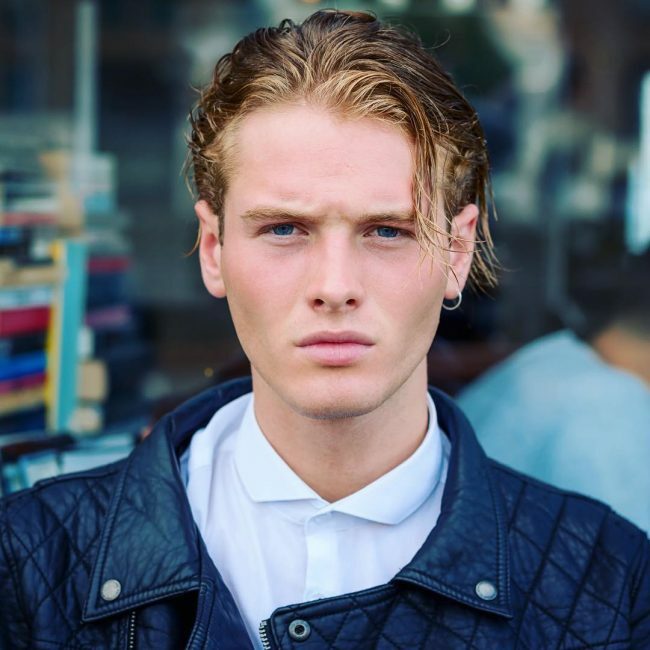 For men that have wavy hair, this is one of the great back to school hairstyles to try. 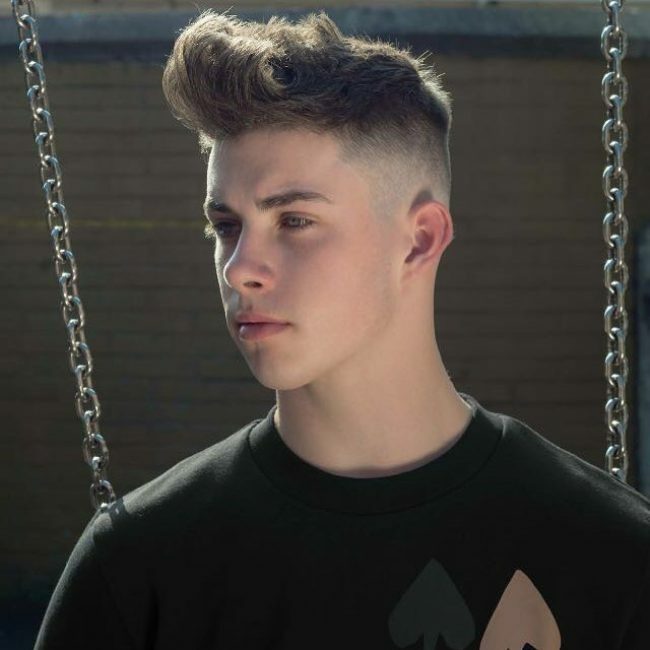 The top part of the hair is brushed back while the sides are thinly reduced. The hair looks like it is increasing from the sides all the way up. This is a hairstyle for the adventurous guys. 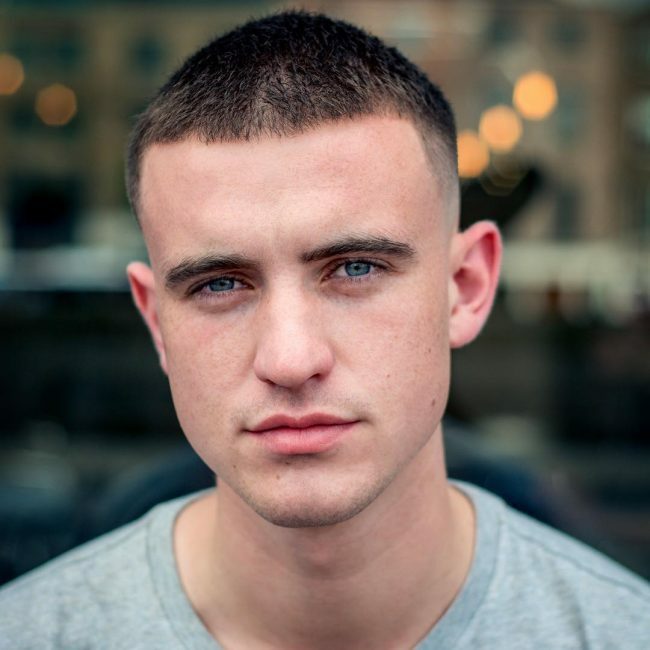 It features a cool front line up and nicely trimmed sides while the hair on the top side of the head is textured and stands up erect. Do not confuse it with a Mohawk. 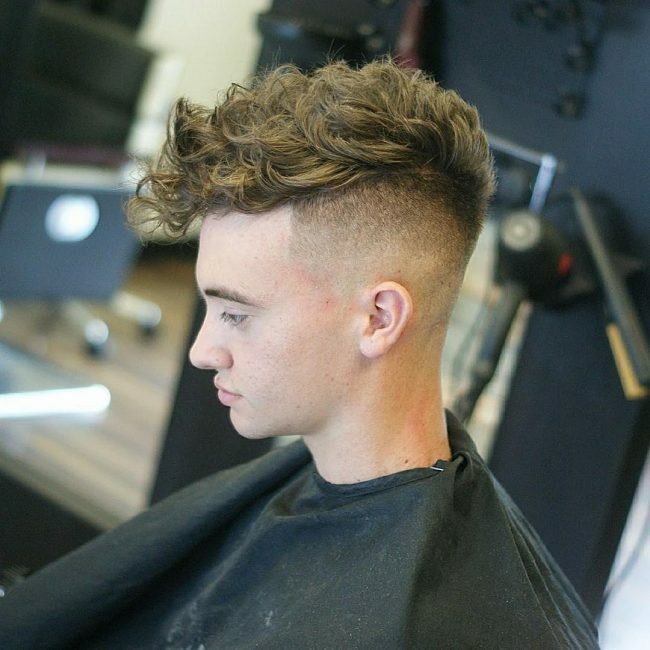 You cannot go wrong with this haircut if you have curly hair. The hair is brushed forward instead of back in order to cut down on volume for a slicker style. The hair on the side is cut off leaving a Mohawk-like look on your head. In this hairstyle, the hair is brushed forward and allowed to dry. It looks great with both straight hair and wavy or curly hair. The sides are closely cropped for a neat and fuss-free look that is great for school. 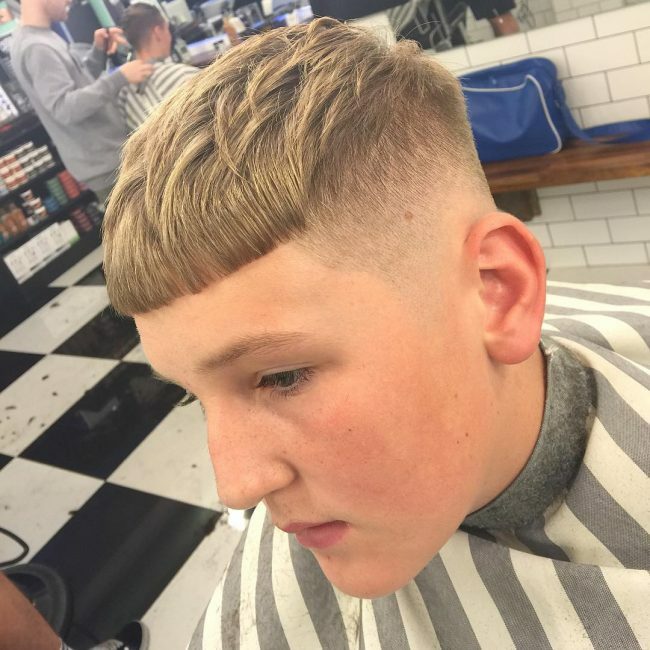 Young boys’ haircuts should be just as stylish as grown men’s haircuts. If you are still in school and want to experiment with new looks, this hairstyle will be perfect for you. 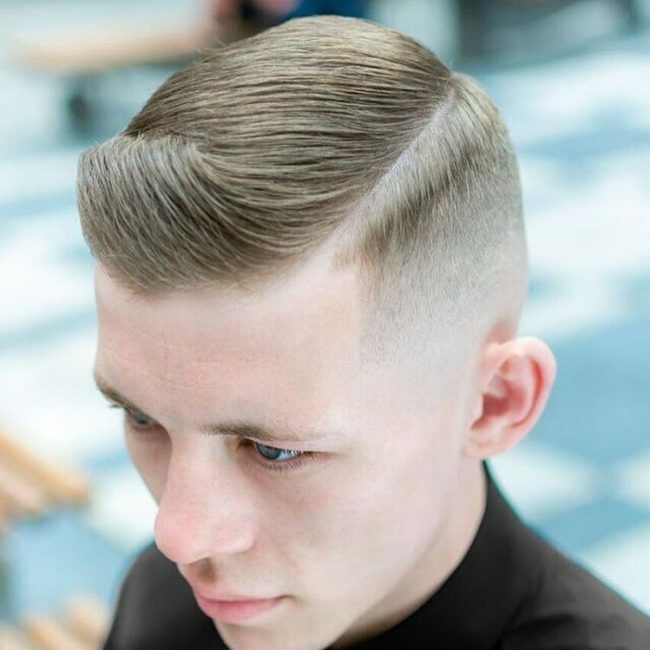 It features a shaved side part and line up that makes it look super clean. This is a masculine and modern style that is preferred by most men. It features a cool undercut with a textured top. 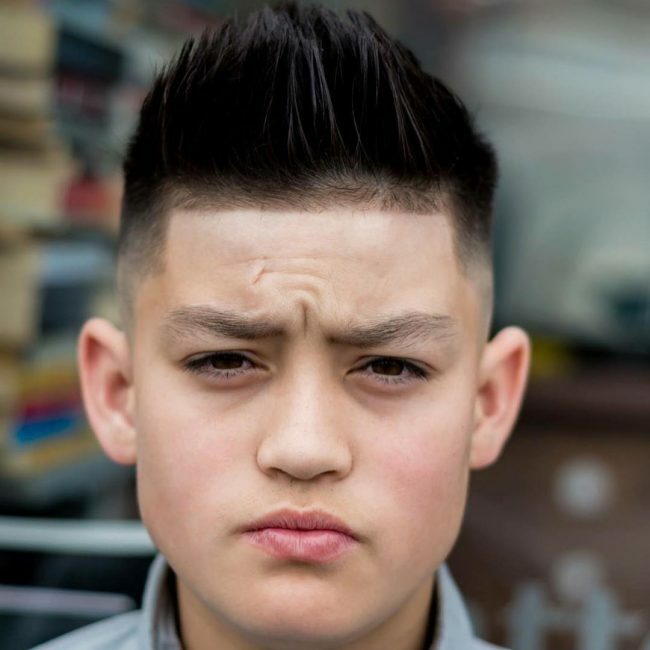 Be sure to tell your barber the exact length you want for the top hair as well as haircut on the sides. 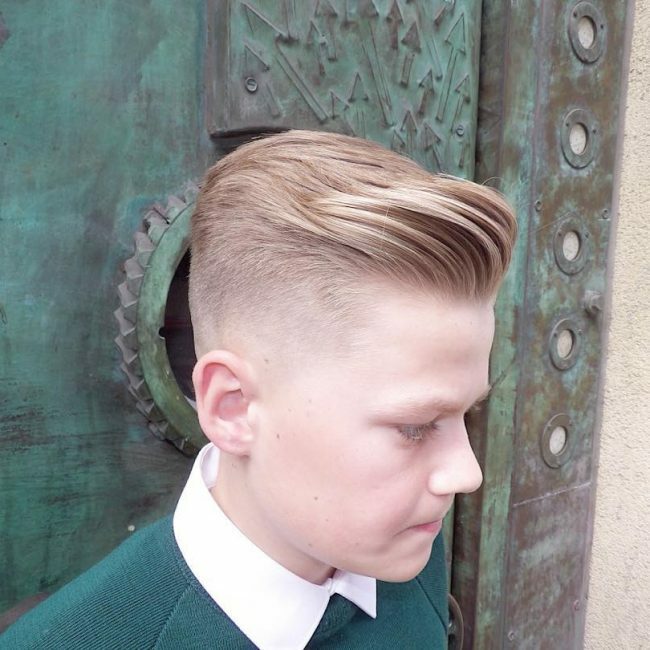 This is one of the very simple back to school hairstyles that can look great on boys of all ages. 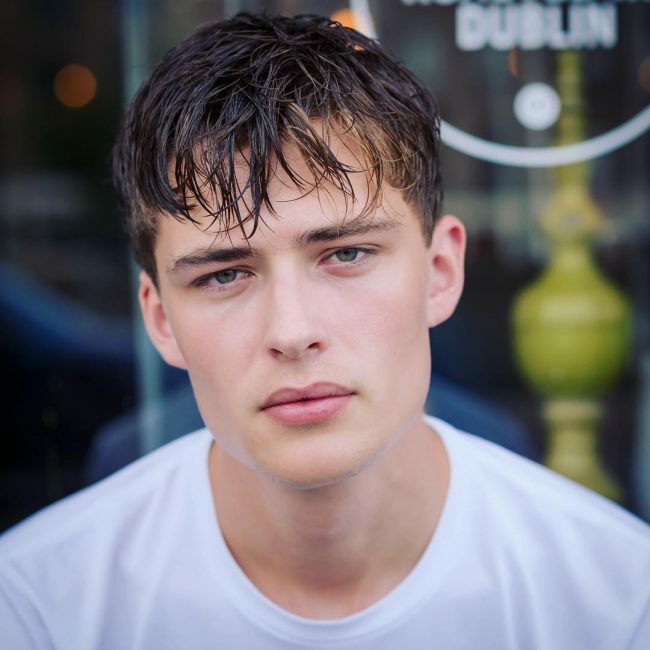 It requires very low maintenance, something that makes it a style of choice for people who do not like wasting their time on hair every morning. If you love hairstyles that would not need to be treated with products or blown out, this one will be perfect for you. The length of the hair is kept at less than two inches to allow you to wash it on the go. 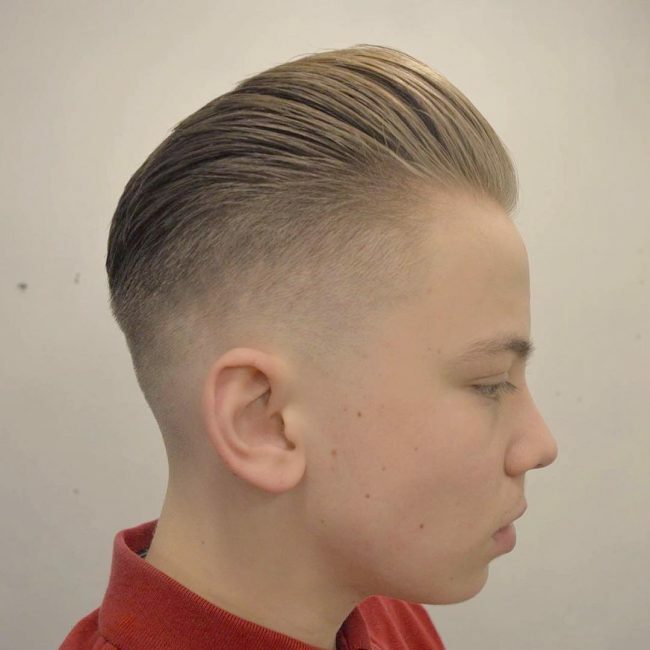 This hairstyle features a neat combination of a side pompadour and neat line up. If you are curious about trying it, you should share this picture with your barber. It is very easy to maintain. You definitely want to try this hairstyle if you are looking for super cool hair options. 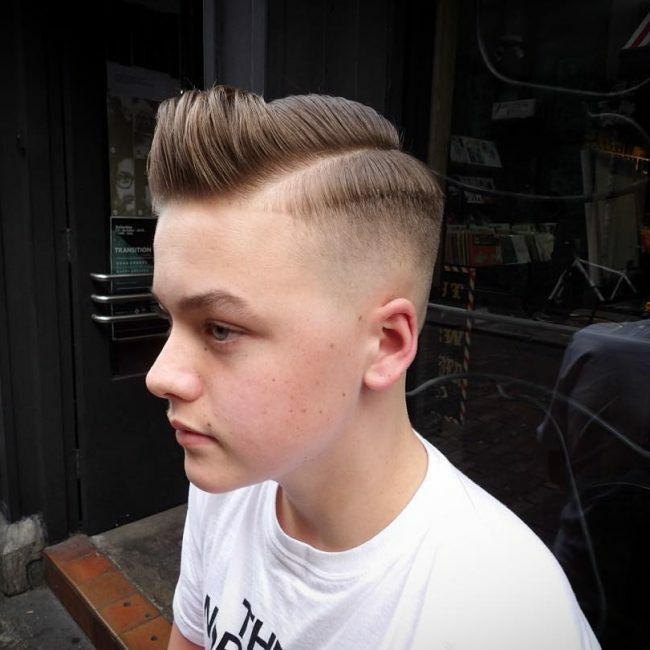 It features a low fade and shaved lines on the sides that make it so unique. You do not necessarily need to copy the same exact design. 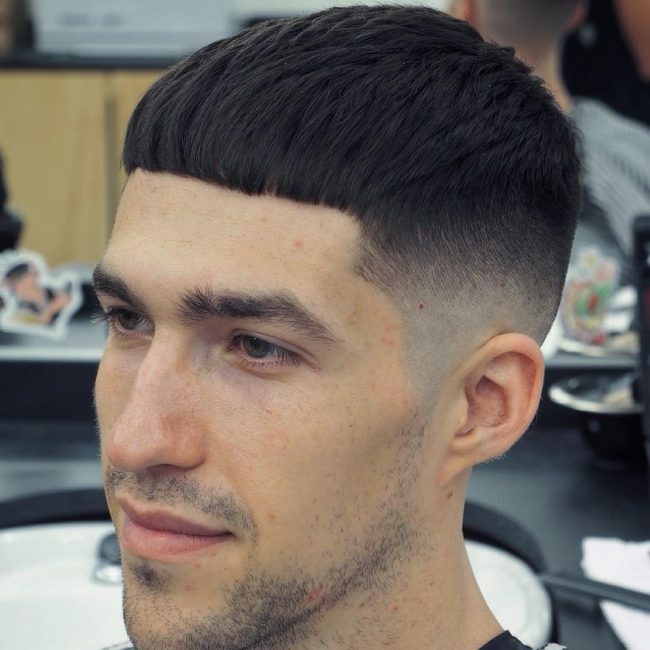 You can ask your barber to bring it out the way you want. To balance a longer bang, the best thing that you can do with it is shave the sides in order to make it the focal point of the look. 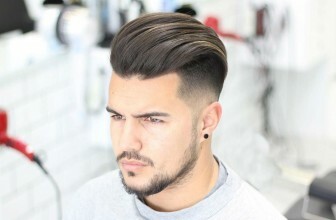 If you are a young man with fine hair, this is a nice hairstyle to rock. This hairstyle style will go well with trendy outfits. You will look like a real man and have the confidence you need the most at school if you try it. People that have thick locks will appreciate this hairstyle the most. 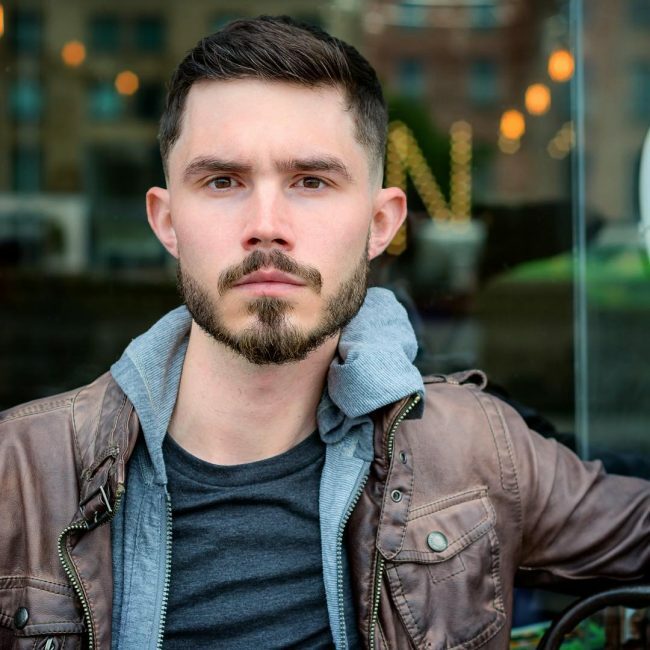 It is particularly great for guys that are looking for a medium cut. It is a more relaxed hairstyle without any blunt cuts on top. 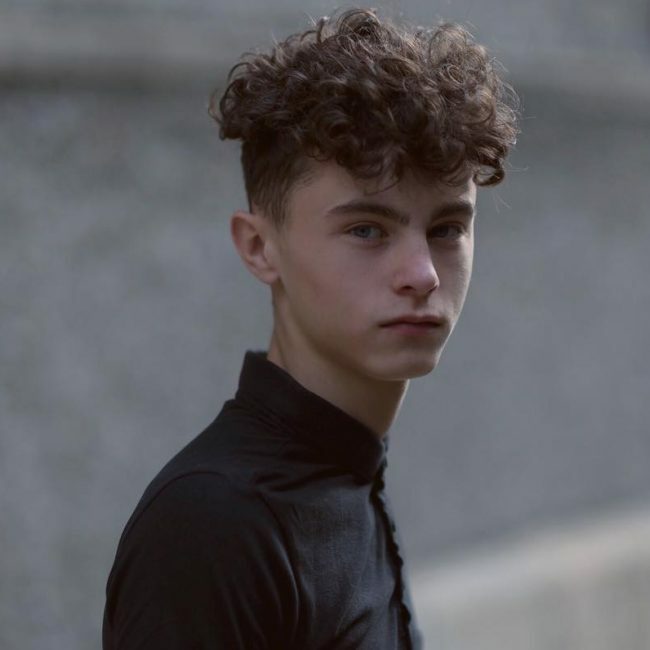 This is a good skater boy hairstyle for teenagers that do not like the idea of cutting their hair too short. You will need to use some hair product in the hair to keep it looking great. Are you looking for a nice way to style your afro? Well, if you are, you need to give this hairstyle a try. The keys to nailing it are a line up and smooth fade. This is one of the amazing back to school hairstyles that will go well with any outfit you put on. One of the things that you will love about it is how versatile it is when it comes to styling it. 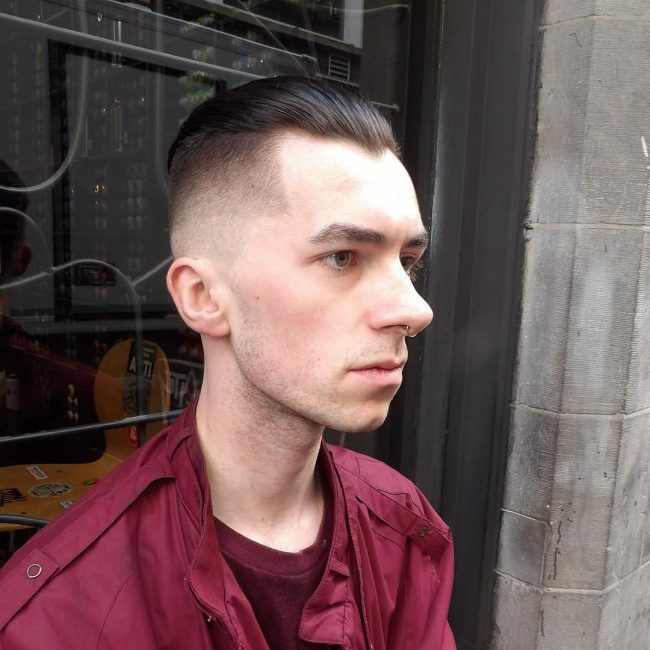 You can create a pompadour, blow it back or part it on the side. 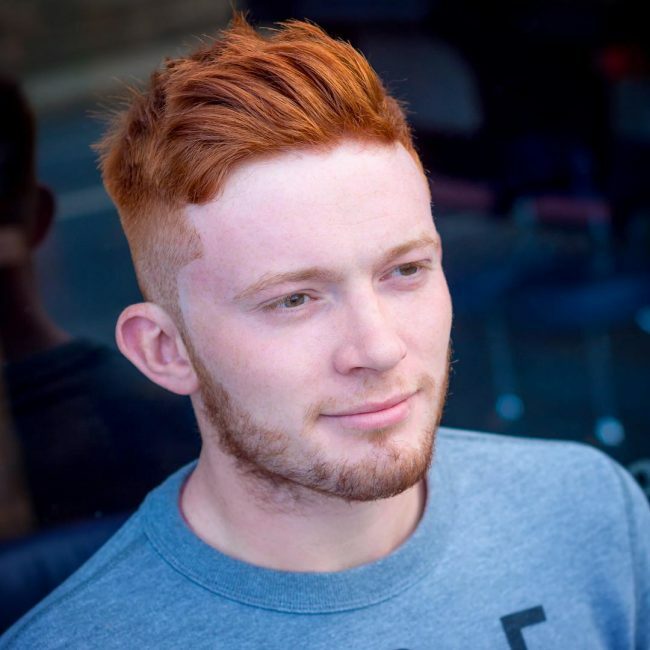 Shaggy hair that features natural texture is not just for girls but boys too. 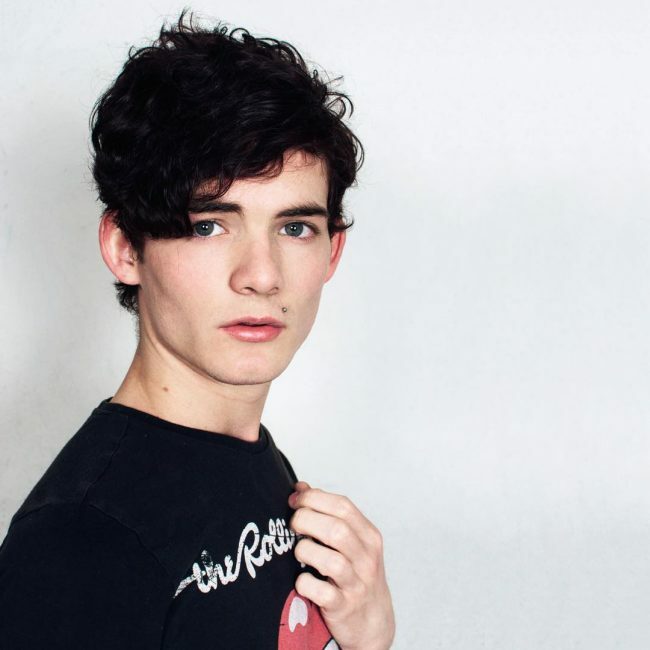 If you have natural curls and waves and you want them to look great, do not cut them short. With this hairstyle, they will be the star of your new look. In this hairstyle, the temples are cut shot while the bangs are lifted and cut to one side. If you have a beard, moustache and side burns, you can style them to accentuate the hairstyle. The length of hair is very critical in this style. It features bangs that are worn very loose. A little light wet effect that is achieved by wax is added to the hair. If you have fine straight hair and do not like short haircuts, this hairstyle will be perfect for you. It is great for short and medium hair. If you have long hair, you will need to trim it a little to prevent it from going all the way to your eyes. This is a basic but very beautiful haircut that you will love if you have medium hair. 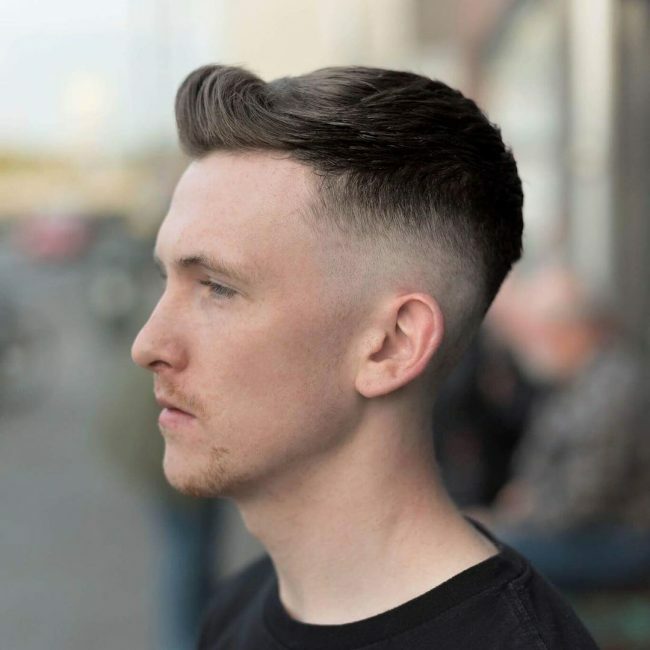 The hair on the sides of the head is trimmed off in a faded manner while the top hair can be brushed forward for a bang or styled backward in a pompadour. 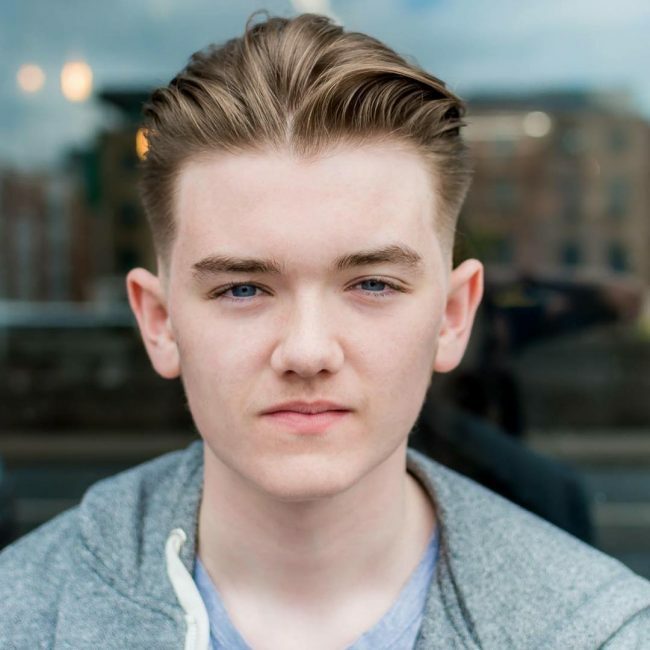 It is a great choice of hairstyle for no-nonsense teens that like options. Not everyone is a big fan of long hair. If you are among the people that like short hair, this hairstyle will be perfect for you. 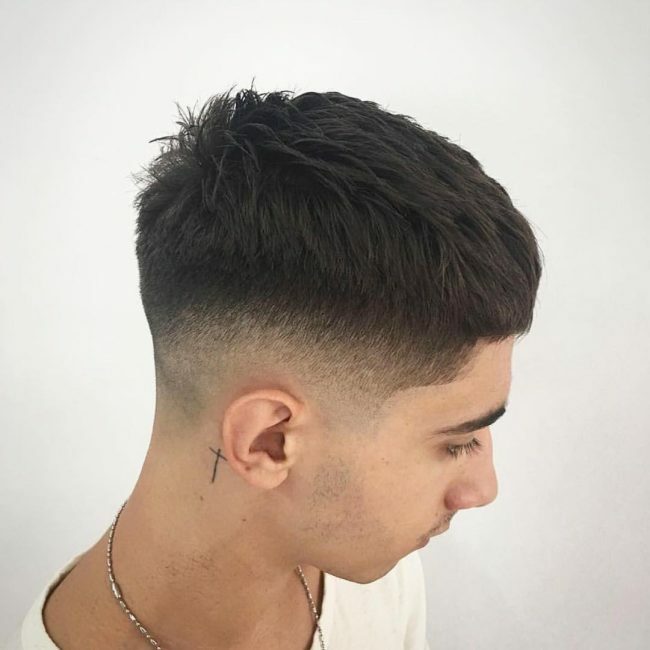 It features a fade starting from the sides to the top of the head. When you first get a fade, make sure that your barber starts slow. 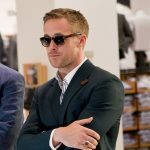 This is an absolutely stunning style that will make you look more handsome. It will be great whether you have sideburns or not. The top part of the head and crown are textured and then given a slight comb lift at the front. 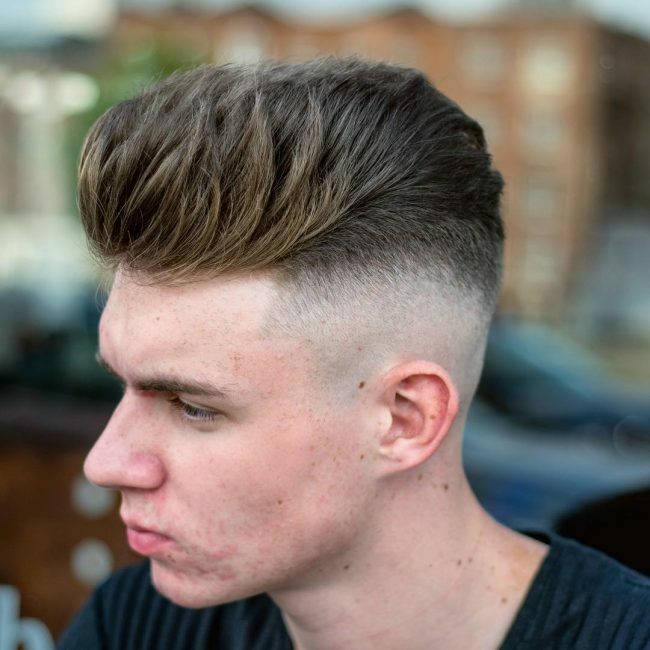 On the sides, there is a high fade cut that creates a fresh and smooth finish. There are so many back to school hairstyles for curly hair that you can try, and this one is one of them. 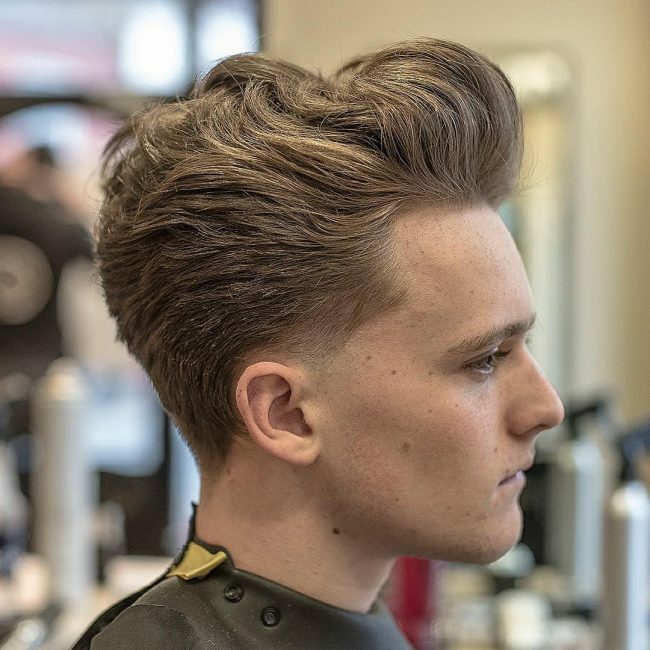 The hair is brushed forward instead of backward in order to cut down on volume and leave you with a nice looking slicker style. 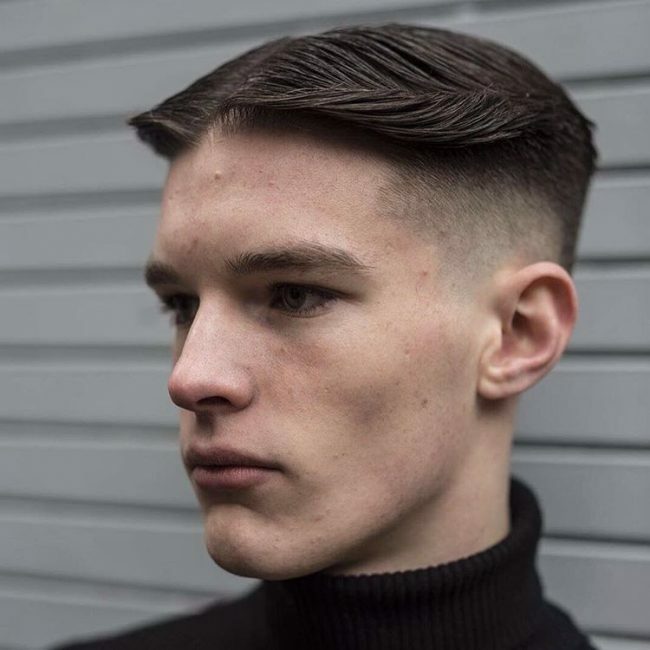 In this hairstyle, the hair on the sides is cut with the approximately same length as the hair on the top part of the head. It is perfect for people with medium to long hair. You can style the hair any way you want to achieve the look that you desire, for instance by brushing it forward, backward or to the sides. Back to school hairstyles that feature faded sides are very common. You are going to like this particular one where the top hair is elevated by simply brushing it forward. It is a cool style for someone that does not have very long hair. You can also brush the hair backward in order to form a pompadour sort of thing. The top part of the head is given an elegant touch of afro hair in this hairstyle. It is clipped at the top in order to create a nice flat profile. The sides are shaved down to form a nice bald fade. You are definitely going to look more handsome if you try it. Your hair can be trimmed in several ways if you decide to give this cut a try. 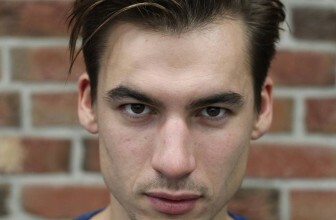 The top part can remain long and fade into the connected facial hair or it can be spiked and coifed in a simple take away style. 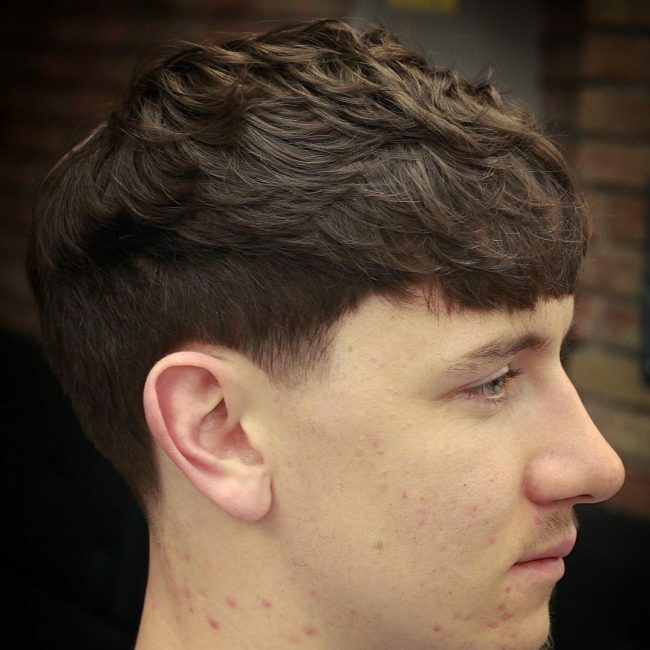 Both scissors and razor should be used for this cut to come out right. If you are looking for back to school hairstyles that will give you a sharp and classic look, this one is a must try. 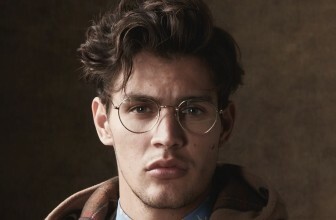 A hard part is perfect for a preppy cut that transitions into a faded look on the back and sides. 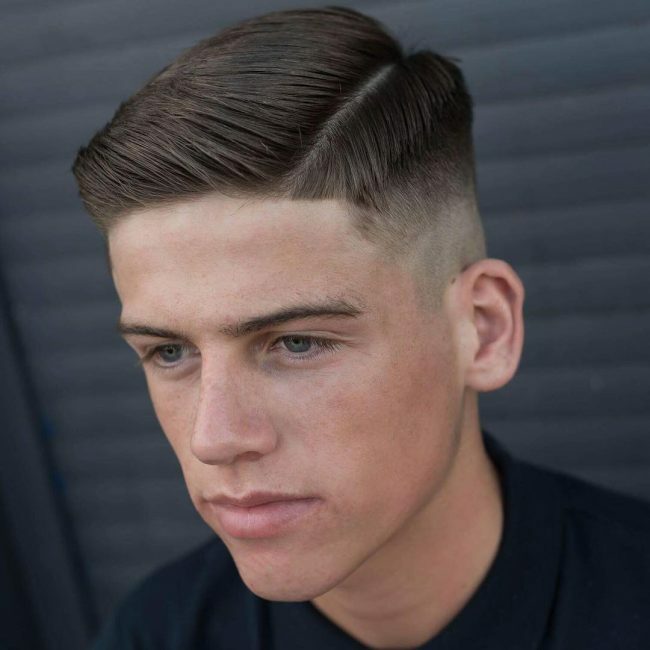 This is a nice and classy hairstyle for someone that appreciates the good old times. It is a romantic hairstyle that will easily match with your looks. It is simply amazing. Both boys and grown up men look amazing with this nicely sculpted hairstyle. 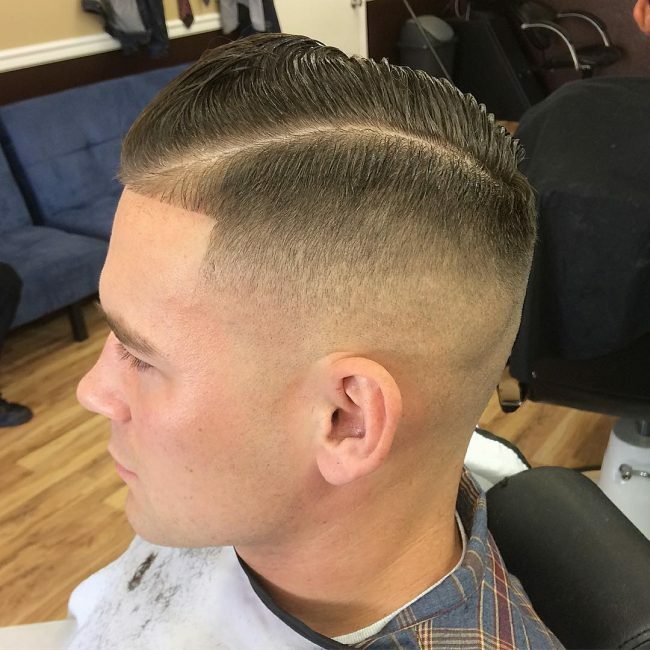 For it to come out perfectly, your barber needs to focus on the top part of the head. If you have facial hair, it should be given special attention too. Some styling product should be added to the hair before it is combed in the direction you want. This is one of the back to school hairstyles you can go for if you want to achieve a nice look that is modern and retro at the same time. It features the old school silhouette while at the same time revealing some novelty in texture. 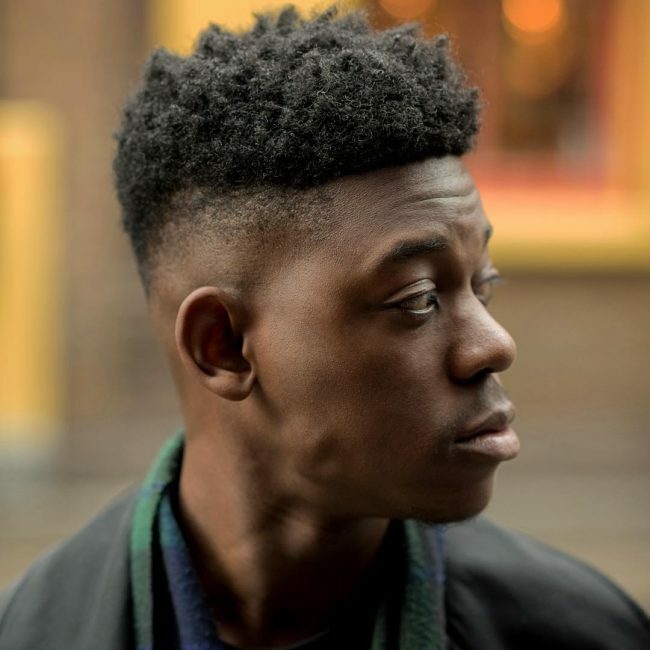 For a more natural texture, you will need to use modern hair products such as lightweight pomades and dry shampoos. 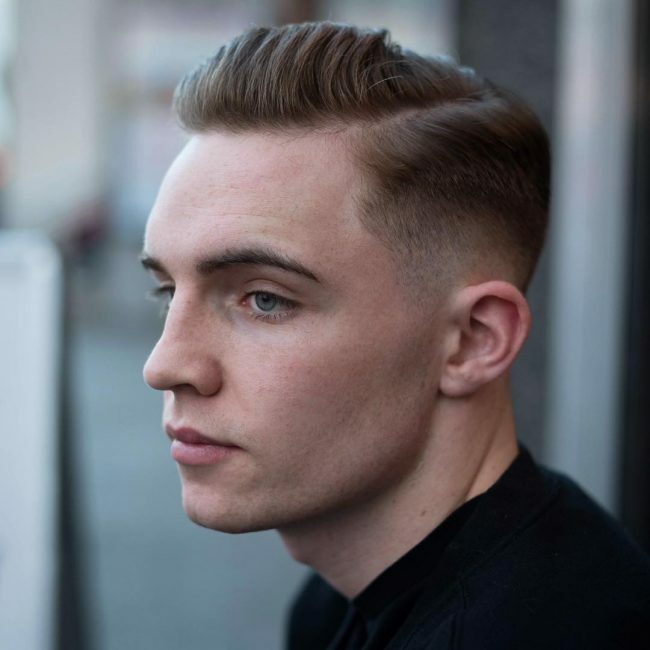 When it comes to the best male hairstyles, shape is very important. 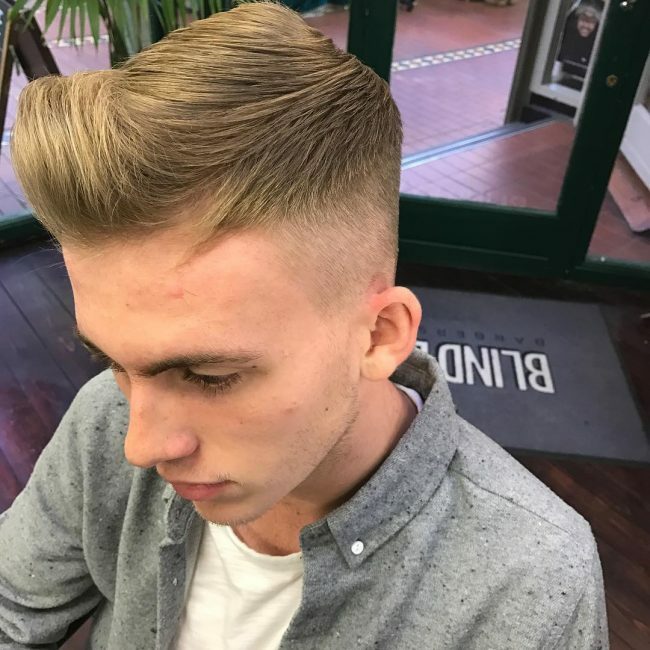 For this particular hairstyle, you will need to look for a talented barber that is able to work the shape of your face and head in order to create a masculine style. If it is done properly, it will create a nice balance to your head and accentuate the jawline. This hairstyle features a sharp side part that can transform a typical hairstyle into a totally amazing style. 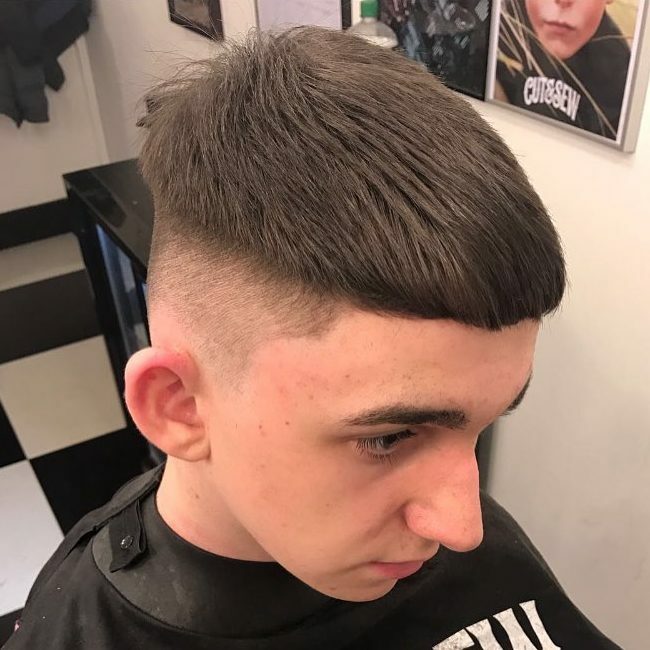 The top hair is left the way it is but styled in order to give it a unique look. In this case, the hair is combed backwards. Shaved lines and designs are among the important elements for today’s sleek haircuts. This particular one features an edged fade and an old school silhouette. It will be great when paired with hip urban clothes such as jean jackets and leather bombers. 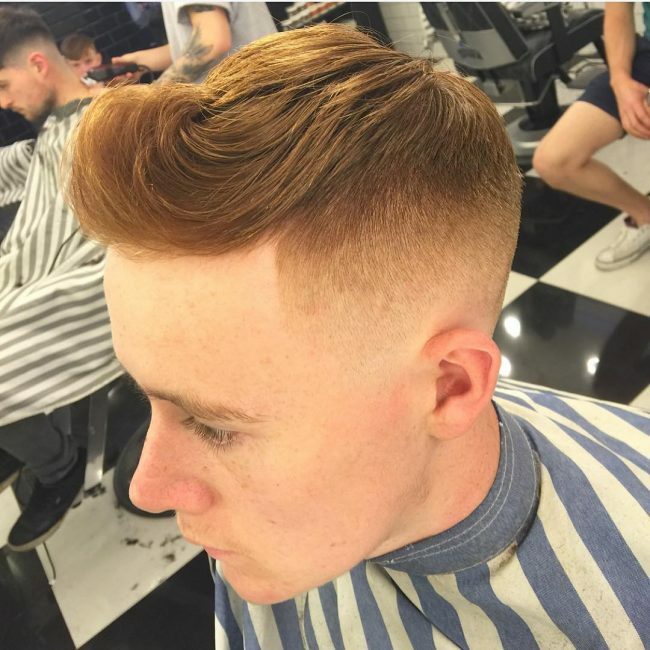 This is simply a retro hairstyle that can be transformed into a modern style that you will love if you get a talented barber. It features a soft pompadour that is one shade lighter compared to the natural base color. Use a dry hairspray to keep the look in place. 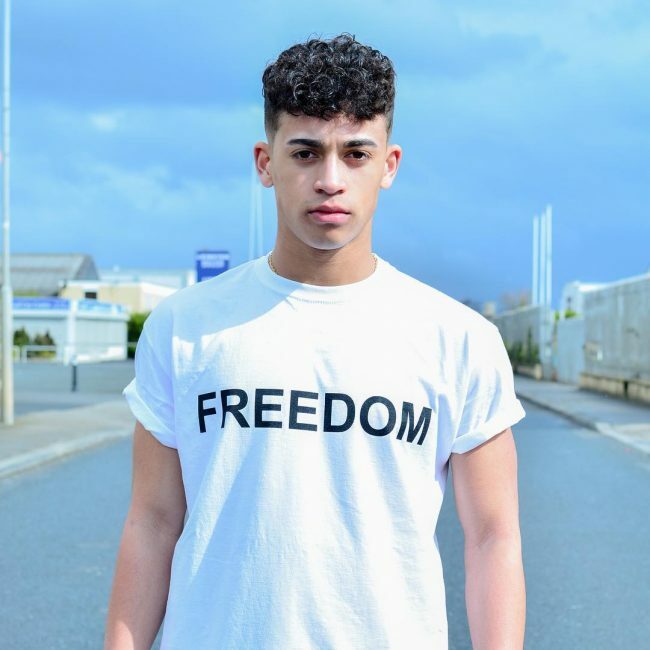 If you are a big fan of back to school hairstyles that feature a skin fade and you seem to be running out options, try this modern crop style. 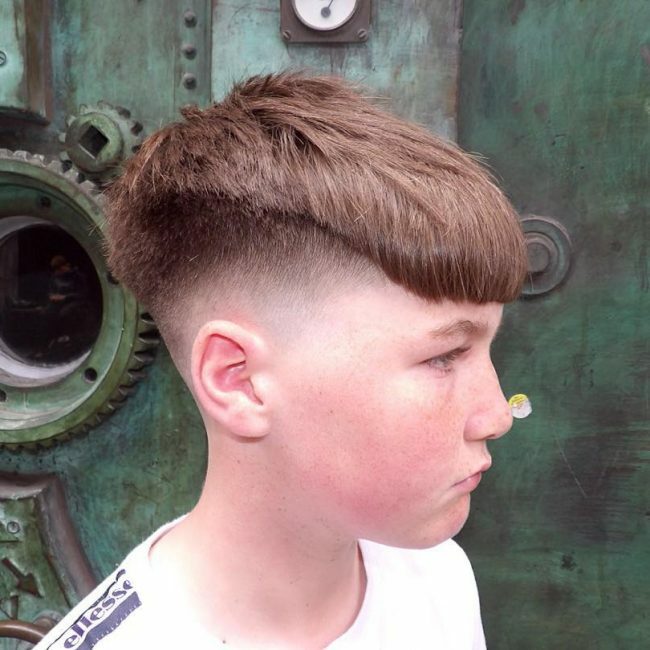 It features a cropped haircut on top of the head while the sides featured a faded cut. The final result is a blunt fringe that appears messy yet cool. Here, the sides are cut a little and the hair is given a comp part in order to look great. 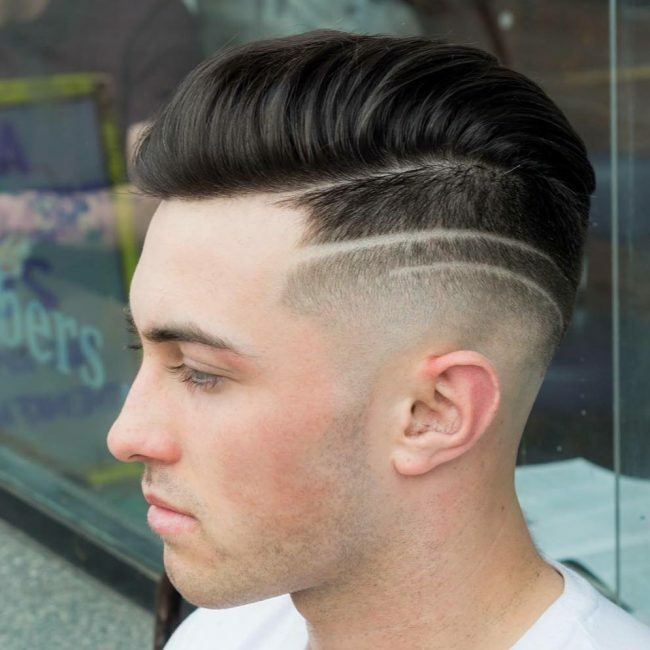 The top part creates a wavy pomp illusion that will accentuate the look of your hair. 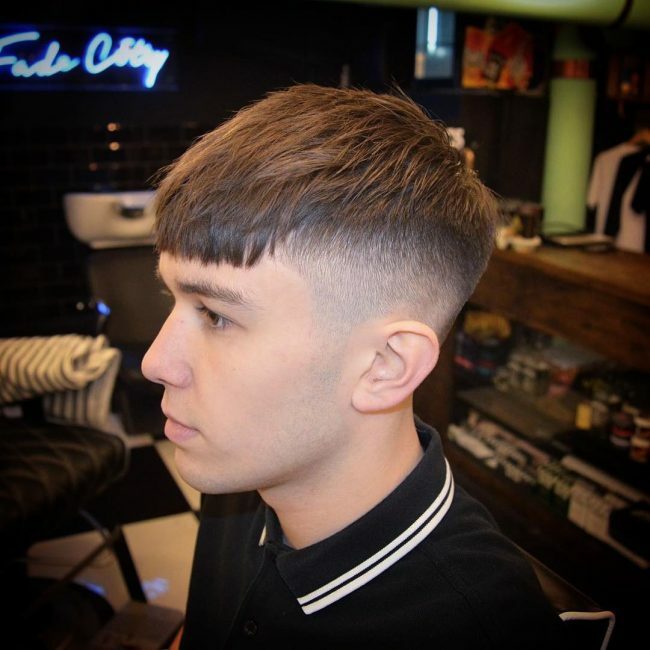 This is a nice faded haircut whereby the hair is brushed forward in order to give you a more natural look. 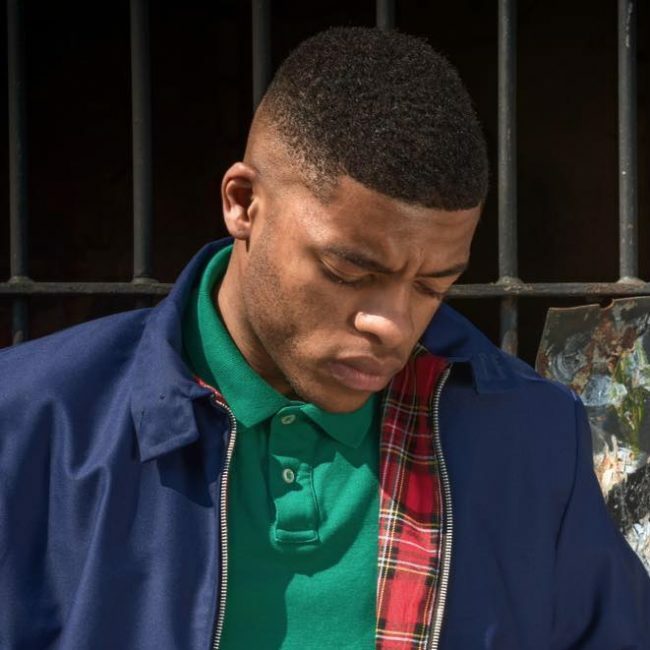 You will want to try it if you a big fan of brush cuts. 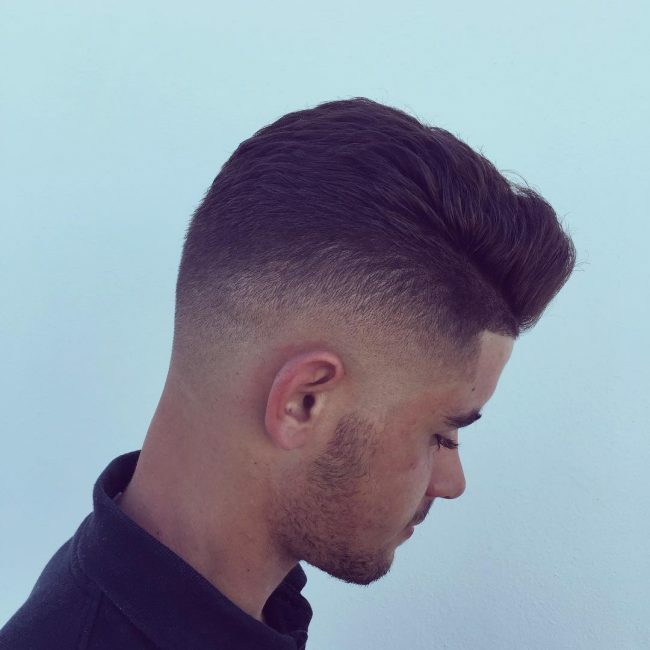 It is paired with a smooth fade on the sides and back. Back to school hairstyles are an endless field for creativity. It is up to you to choose a hairstyle that expresses your personality and mood very well. 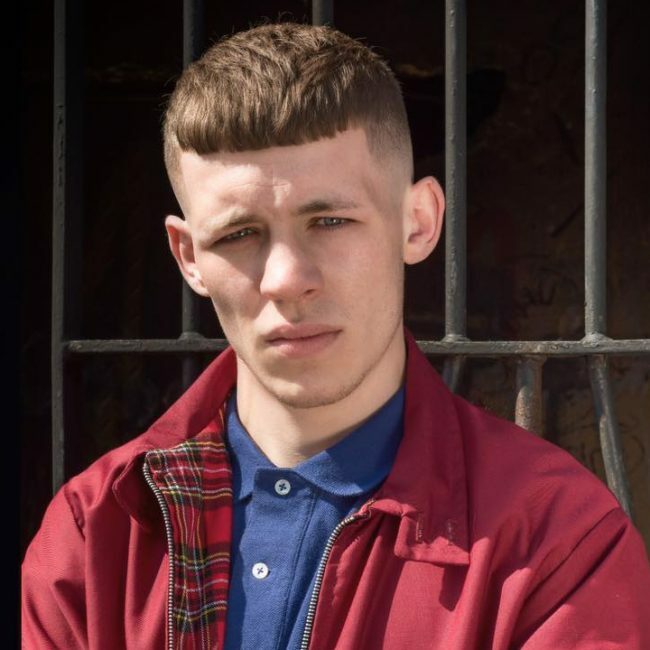 Some of the hairstyles can be a bit over the edge which is not a bad thing at all. Just make sure that you do not break your school regulations.